Tuesday's earnings report from Apple is expected by Wall Street analysts to be essentially a non-event —nothing serious enough to make the stock price jump, but also nothing negative enough to see shares slide significantly. 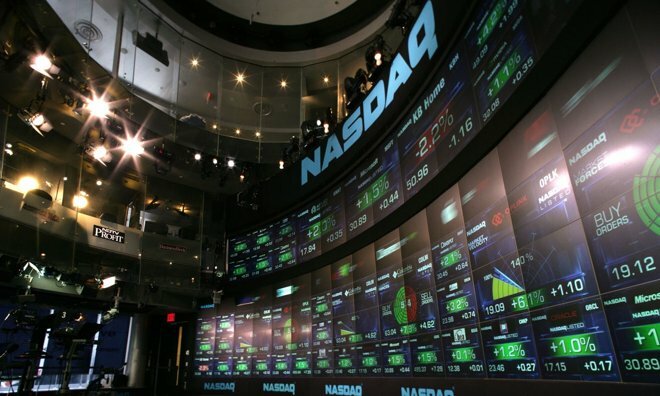 Previewing Apple's June quarter results, Gene Munster of Piper Jaffray told investors that low expectations will likely make the company's Tuesday earnings call a "largely neutral event." He believes Wall Street expects Apple to report an in-line June quarter, and to guide sales down about 5 percent for the following September quarter. Separately, analyst Timothy Arcuri of Cowen and Company also issued a note forecasting "not great but good enough" June quarter earnings from Apple. He noted that while investors currently have a negative outlook, he sees that changing to "cautious optimism about the future." 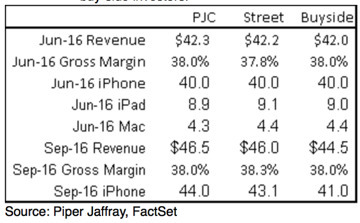 Wall Street consensus, according to Piper Jaffray, sees Apple's June quarter revenue at $42.2 billion, with gross margins of 37.9 percent. The market expects Apple to have sold about 40 million iPhones, 9.1 million iPads, and 4.4 million Macs. Looking forward to the September quarter, market consensus hopes to see Apple guide $46 billion in revenue and 38.3 percent gross margin. Expected iPhone sales for the quarter are at 43.1 million. Piper Jaffray's own estimates for the June quarter are slightly above the market, projecting revenue of $42.3 billion and gross margins at 38 percent. Cowen and Company, meanwhile, is on the lower end with $41.8 billion in revenue. Apple will report the results of its fiscal third quarter of 2016 on Tuesday after markets close. The company has scheduled a earnings call with analysts and members of the press for 2 p.m. Pacific, 5 p.m. Eastern, and AppleInsider will provide full, live coverage of the event.